For those clients looking for to bring more energy to their online marketing, we have a Search Engine Optimization (SEO) program to suit your needs. 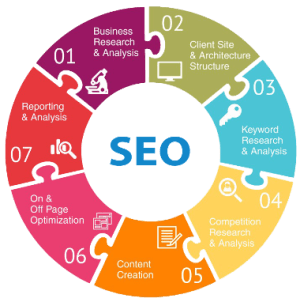 Our SEO programs rely on industry leading benchmarks and tools to drive your website higher in Google and other major search engines. By focusing on industry and keyword research, then developing the right on page and off page factors, we can move you forward in the search engines. Combined with competitor analysis to identify opportunities online and clear reporting, we are the right SEO partner for your business.